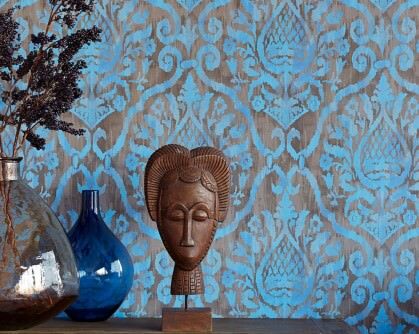 Classic wallpapers are timeless and complement modern interior design styles, whilst being inspired by important epochs in the history of art. 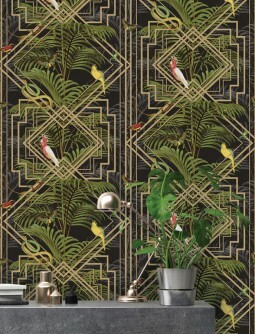 Our Classic range is an important part of the Trend Collections, as these types of wallpapers have always been associated with tradition, sophisticated ambiences and exclusive interiors. 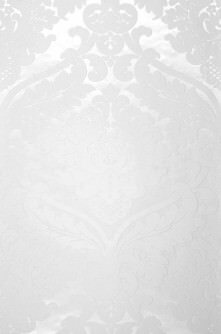 High-quality, stunning colours, luxurious materials, wallpaper patterns that invite the beholder to dream and inspire creativity, floral whimsy, baroque exuberance or geometric harmony – you will find them all in our exclusive online wallpaper shop. 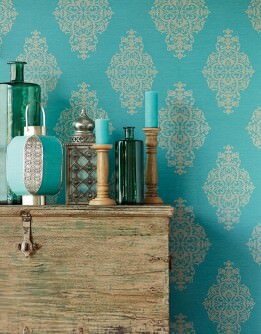 Wallpapers based on traditional patterns which have delighted connoisseurs for centuries are often referred to as “classic wallpapers”. 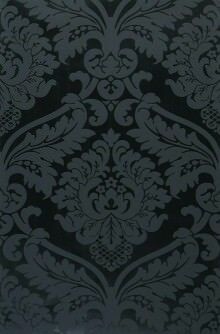 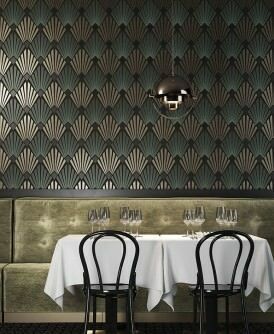 And whilst this is no misnomer, advances in wallpaper design have a clear impact and provide a modern take on the style. 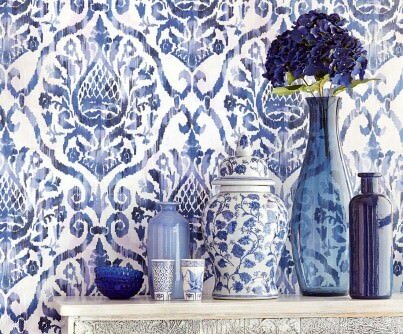 The right choice of colours, light reflections, materials and dimensionality lend interest to a room by both fitting in with furnishings and accessories,and providing a refreshing contrast that catches the eye. 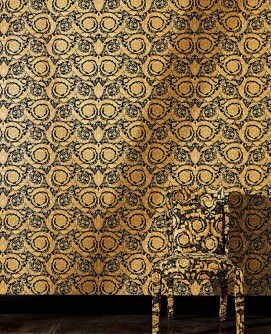 We present our designer wall-coverings in classic patterns which represent the Zeitgeist whilst maintaining their timeless charm. 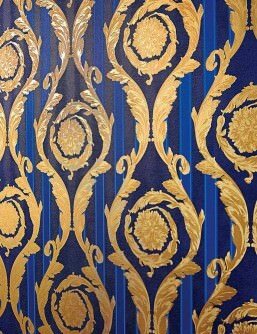 Classic wallpapers come in many variations: stripes, flowers, patterned wallpapers, reminiscent of the Baroque, Art Nouveau or Op-Art with its geometric motifs. 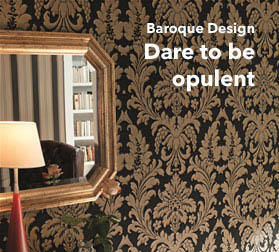 Our classic range expresses a sense of unconventional, idiosyncratic style. 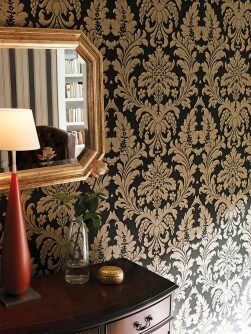 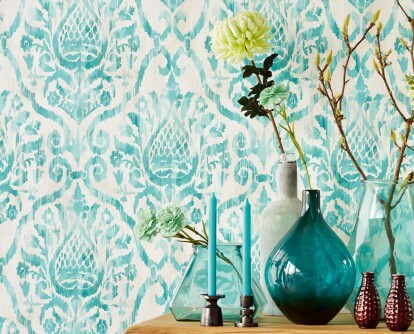 Patterned wallpapers with classic elements add opulence and luxury to a room. 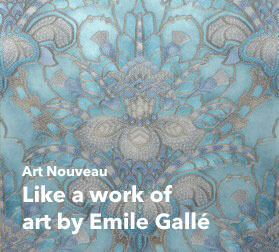 Their dominant expressiveness catches the eye and captures the imagination. 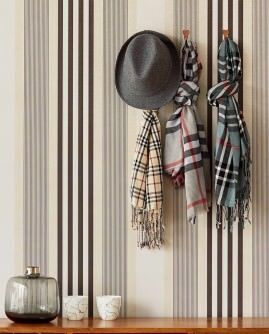 Our Classic Collection, available in the online store, represents a modern take on traditional styles, emphasized by unusual premium-quality materials and a large array of colours.